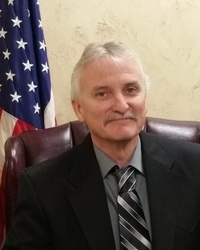 The County Judge of Somervell County serves as the Chief Administrator of the County Government, the Chief Elected Official and presides over the five-member Commissioners Court which has budgetary and administrative authority over county government. The County Judge has judicial responsibilities for certain criminal, civil and probate matters. Also, the County Judge has appellate jurisdiction over matters arising from the justice courts. The County Judge handles a wide range of hearings for beer and wine applications, admittance to state hospitals for mentally ill and mentally retarded, juvenile and guardianship purposes. The judge is responsible for calling elections, posting election notices and receiving and canvassing the election returns. The judge may also perform marriages. The County Judge is Chairman of the Juvenile Board, Director of Emergency Management, which directs operations of the Emergency Operations Center, heads civil defense and disaster relief, county welfare and along with the county auditor prepares the county budget and presents to the Commissioners Court for approval.